Dinner time in our house is one of the most chaotic times of day thanks to three tired and cranky boys, so I’m all for making one meal for our entire family (with a few modifications when it comes time to serve) as let’s face it, I just don’t have the time to cook five different meals each day. Our dinner meals tend to look very similar, one ‘main’ meal which is served alongside veggies, fruit or sometimes something a little special like a vegetable muffin or a cracker with cheese. 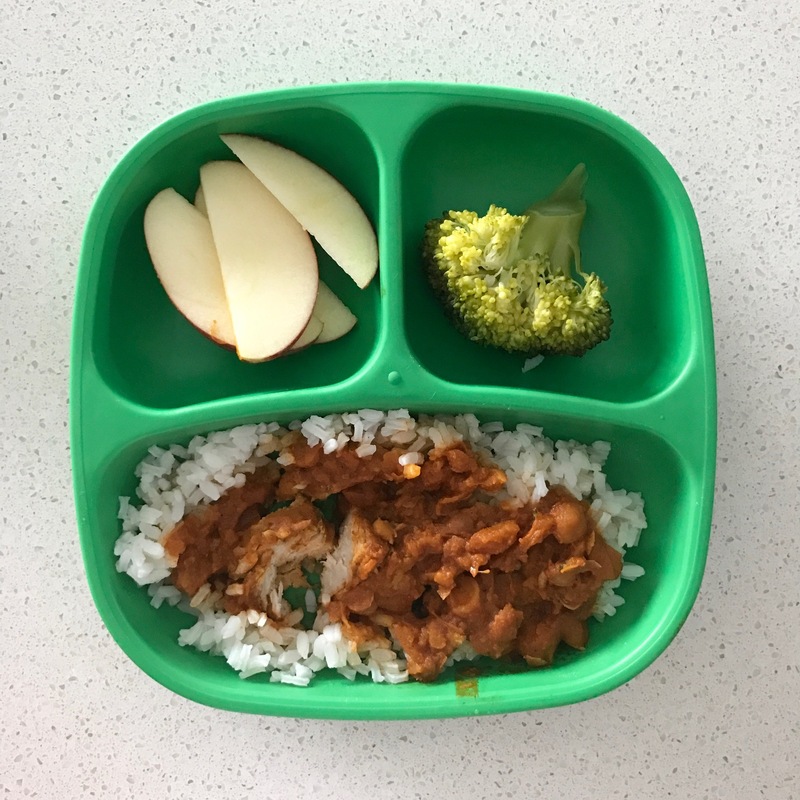 It may not be the best dinner out there, but it’s what works for us and while the boys will still have those nights where they won’t eat anything (like last night!) generally they will clean their plates – especially if I add some grated cheese or bbq sauce to their dinner as they are OBSESSED with both! 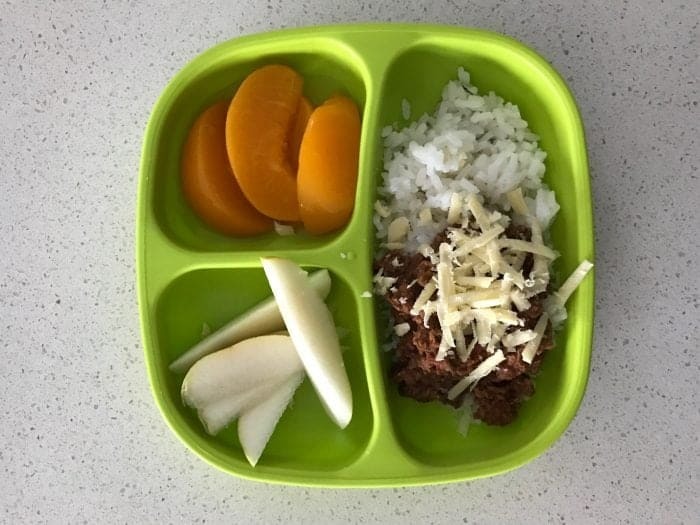 While the kids were happy to try anything when they were younger, the older they get, the more they are starting to not want to try new foods and going off some foods they previously happily ate. I’m trying to not worry about it too much and figure if I don’t pressure them to eat something they don’t like now, they will eventually give it a try down the track – well I hope so anyway! Coming up with meal ideas for the kids EVERY. SINGLE. DAY can be tough – not to mention a little depressing when they then turn their noses up at it! 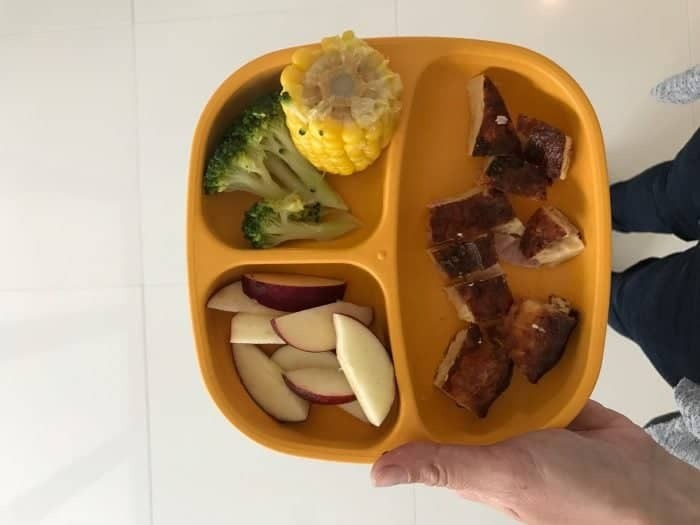 So I decided to share a few of the things that my kids eat for dinner, in the hope that I can give you some ideas of recipes you can try with your family – enjoy and good luck! Meatballs and Spaghetti is another quick (I always keep a couple of containers of it frozen in the freezer) meal that I can have on the table in no time. 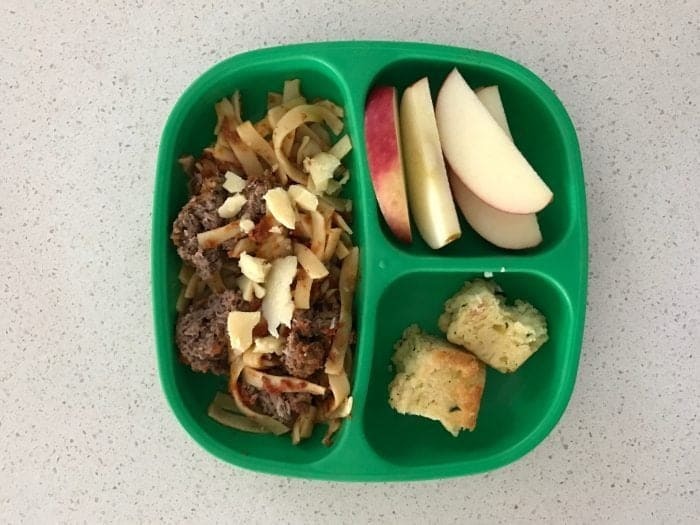 I pack extra veggies into our meatballs (carrot, zucchini and sweet potato) to help boost their nutritional intake. To make the meatballs, combine 500g of beef mince with 1 clove of crushed garlic, 1 tablespoon of mixed herbs, 1 grated carrot, a grated zucchini and approx 100g of grated sweet potato. Mix through an egg and 1/2 cup of breadcrumbs and then roll into balls. I pop them into the fridge for 30 mins to chill (but you can skip this step if you are in a big hurry) and then cook in the frying pan over a medium heat. When they are almost ready, I add a tin of crushed tomatoes and cook for a further 5 minutes on a low heat. If you find your meatballs are too soft to roll into balls (the water content in the zucchini can impact this) simply add an extra 1/4 cup. We have some type of risotto every couple of weeks as it makes a HUGE batch which gives us a couple of meals and I freeze any leftovers. I like to add whatever veggies and meat I have in the fridge to our risotto and if I’m making it conventionally, I always use a baked risotto recipe like this one or this as a base and then add whatever ingredients I have. 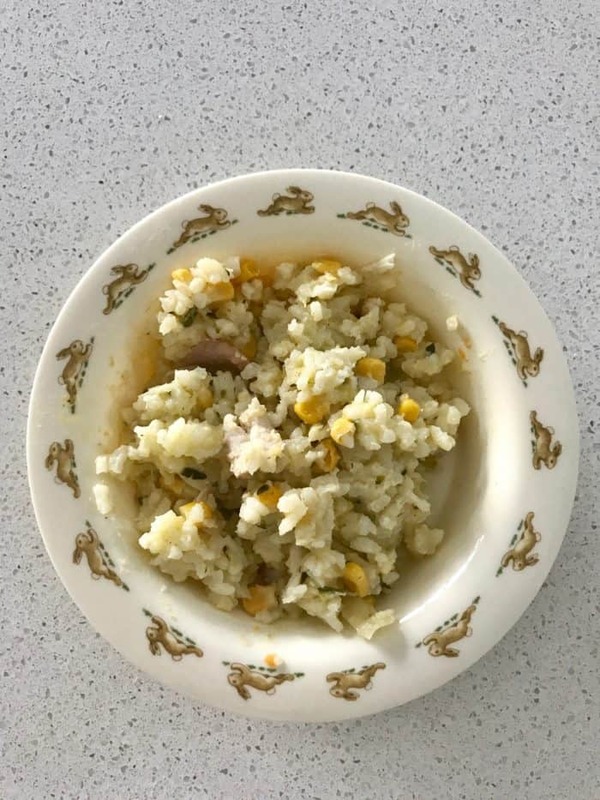 I also use my Thermomix to make risotto and we LOVE these Thermomix risotto recipes. It’s a classic (and super simple!) recipe, but Egg and Bacon Impossible Pie is always a winner here. I will usually make it during the day and then re-heat for dinner and serve it alongside some freshly cooked veggies and fruit. This Chilli Con Carne is another recipe from Mrs D Plus 3 and although it’s a Thermomix recipe, it’s also really easy to make the regular way. We enjoy it with rice and also on top of corn chips for a treat. And lastly, this ‘anything goes’ pasta makes a VERY regular appearance on our dinner table! If we’ve got any leftover veggies or meat from the night before (e.g. 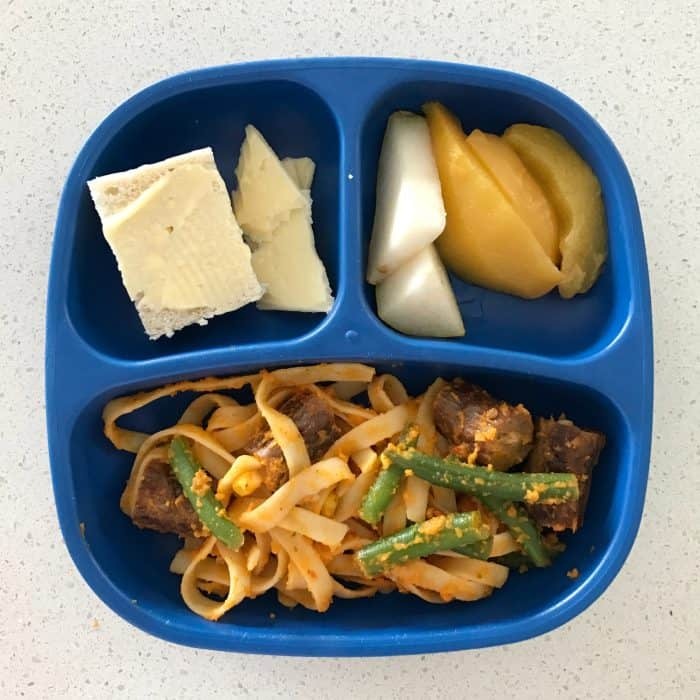 sausages, chops, roast chicken etc) I will add them to some freshly cooked pasta which has been tossed in either a store bought pasta sauce or a tin of crushed tomatoes – it’s super easy and the kids enjoy it. 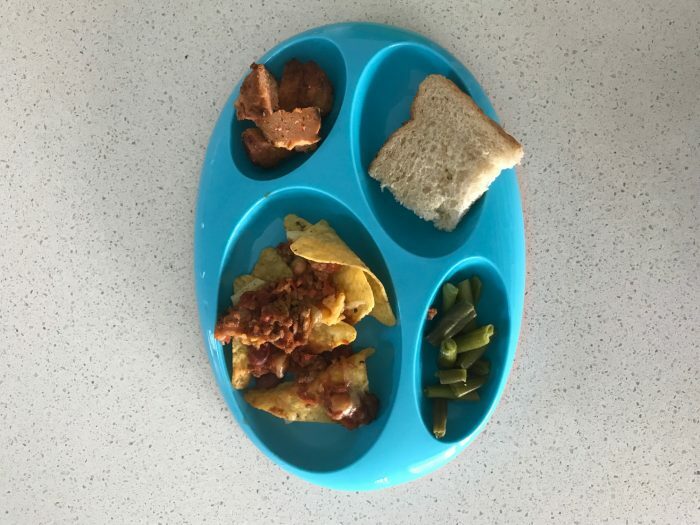 So there you have it, seven of the meals that my kids regularly eat. What are some of your family favourites?